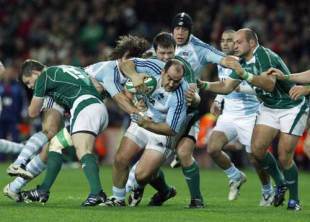 Ireland face Argentina at Lansdowne Road on Sunday in the latest instalment of a bristling modern rivalry. There will be few punches pulled as the sides go head-to-head for the first time since an ill-tempered meeting back in 2008. Ireland edged that one to keep alive their tier two status at the World Cup, also securing a small measure of revenge for a damaging 30-15 defeat at the Parc des Princes during the 2007 tournament. Ireland currently edge the rivalry six wins to five and have never lost to the Pumas on home soil.